Randall Craig is a well-recognized management consultant and author of several career books, including Leaving the Mother Ship. 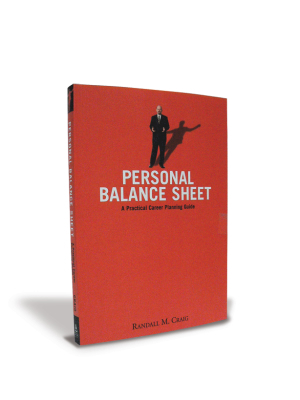 In his new book, Personal Balance Sheet, he offers practical step-by-step guidance on the process of career planning. Throughout the book, you will find a number of diagnostic exercises to help you understand your strengths and frame your career development and work-life balance plans. “Career planning does not happen in a vacuum,” says Craig. “How you spend your time beyond the working day can have a direct impact on your success within it." Personal Balance Sheet aims to help as we plan a more efficient route to our goals. As readers work through the book, they are asked to take stock and examine their achievements to date, to develop checklists and goals for themselves, and to develop a plan to meet those goals. For more information, visit www.knowledgetoactionpress.com.